With the Christmas season in full swing it’s time to break out the decorations and find the perfect tree to fill your home with that festive feeling. It can sometimes be hard to know which tree is best for you and what to look for in a tree. So, we have put together a guide to help you find the perfect Christmas tree. Before you go out and buy your Christmas Tree it is important that you know exactly where in the house the tree is going to go. This means that you know roughly how wide and tall your tree can be, making sure you aren’t buying a tree that is much too big. Don’t forget to consider the size of your tree topper too. It is also good to consider what part of the house would be best for the tree, so that it can last throughout the whole Christmas season. An area of the room that is well lit is ideal, meaning it can get plenty of sunlight. However, one thing that is important to avoid is placing the tree next to radiators or fireplaces, as the heat can cause the tree to dry out quicker than normal. 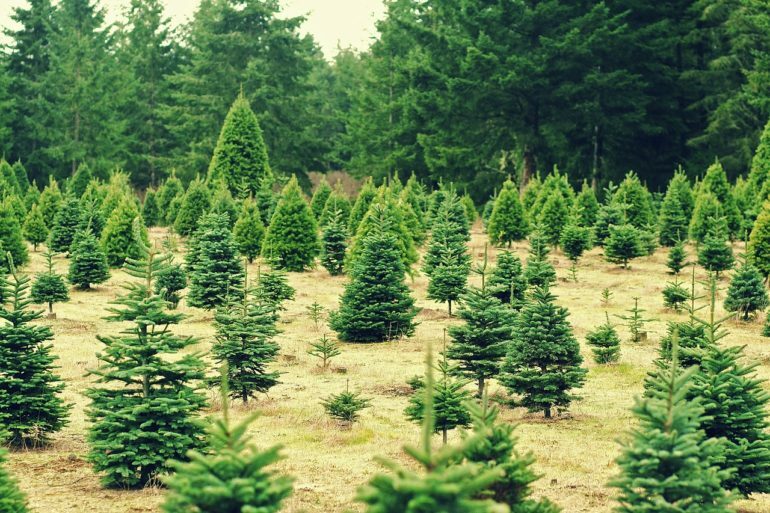 When thinking about where to buy your tree from there are two main options, retailers or Christmas tree farms. Both can allow you to buy quality trees however one thing to remember is that trees from retailers such as Homebase and B&Q aren’t as fresh as trees from farms which are often cut down each morning. This does not mean that if buying a tree from a retailer they won’t last, but there are ways you should test your tree before purchasing. One way is by lifting the tree a few inches of the ground and dropping it on its stump. If substantial amounts of needles fall off the tree it means that the tree is not fresh and likely won’t last as long. 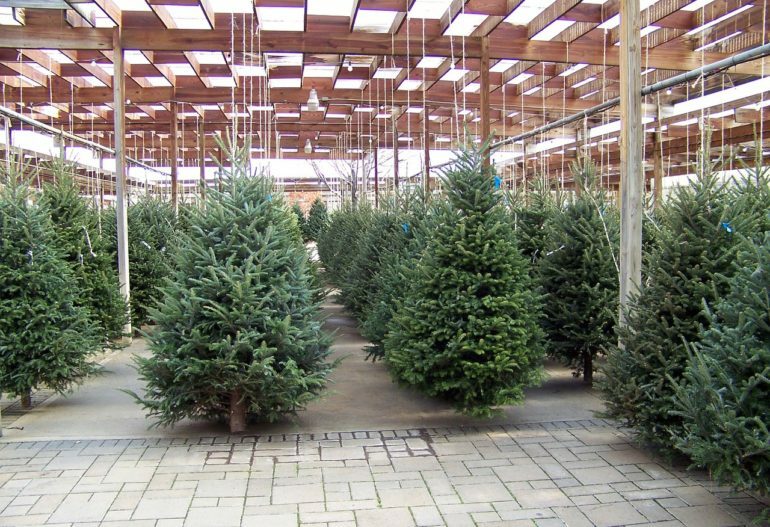 If you are considering visiting a tree farm to cut your own tree down or look at the selection they have, then The British Christmas Tree Growers Association has a list of all sellers on the website. That way you can find the closest to you. One final buying option that has become more common over recent years is buying Christmas Trees online. There are different websites that allow you to select the type of tree you want, such as a Norway Spruce, and they will deliver a tree to your home. Although convenient this isn’t always the best choice as there is no guarantee you are getting a quality tree that’s right for you. What Species of Tree is Best? The Norway Spruce is the traditional Christmas tree in Britain. This is most likely because it grows to be bushy, shaped like a traditional Christmas tree and there are large supplies as it grows across Britain. However, if you are looking for a tree to last throughout the whole of December this tree isn’t best as it drops its needles easily especially round the end of the festive period. If you do want to buy a Norway Spruce, it is best to by them closer to Christmas as they will last around 12 days. Another popular species is the Nordman Fir. 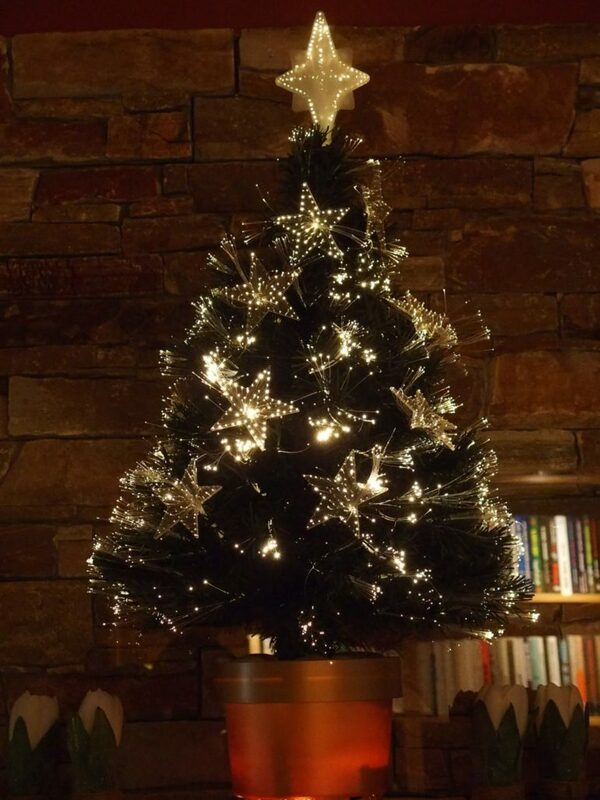 This is the most popular Christmas tree variety in the UK. It has a symmetrical shape and is perfect for displaying decorations, especially heavy baubles as it has strong branches. One key feature that makes this tree so popular is the fact that it doesn’t drop its needles. This means that it is perfect for those that are looking to buy a tree early in the season and avoid the mess trees that drop their needles can make! Although not as popular the Fraser Fir is another great option. This tree has a taller and thin shape which makes it perfect to fit into smaller spaces that aren’t as wide. If you are looking for a tree for the whole family to get involved with decorating then the Fraser Fir is great, its needles are soft which means it great for children. Much like the Nordman Fir this tree also doesn’t drop its needles, which are lightly scented like citrus. As the name indicates the Blue Spruce has a Blue and silver colour to its needles, which hold well. The reason for this blue tint is because the tree produces a resin to protect its needles. One important thing to note about this tree is that its needles are very prickly and therefore it may not be the best tree for a family home. The tree also has a wide shape especially at the base which means that it may not be best for smaller spaces. If you’ve purchased a cut tree, i.e. one without roots, as soon as you get it home cut a quarter to half an inch off the base of the trunk. Do not cut the sides of the trunk as they are most efficient in taking up water. When choosing a stand/container make sure you take the weight and height of your tree into account and ensure it can take enough water so that the tree can stay properly hydrated. Water your tree every day to keep it looking well, a dehydrated tree will start to droop and wilt very quickly, so moisture is extremely important. Add a minimum of half a litre of water a day being aware that a real Christmas tree can drink 1 to 2 litres a day depending on its size and your heating. If your tree is pot-grown, make sure you water the roots. The other main thing you should make sure to do is keep the tree away from radiators or fireplaces to avoid it drying out. What to Do with Your Christmas Tree in January?